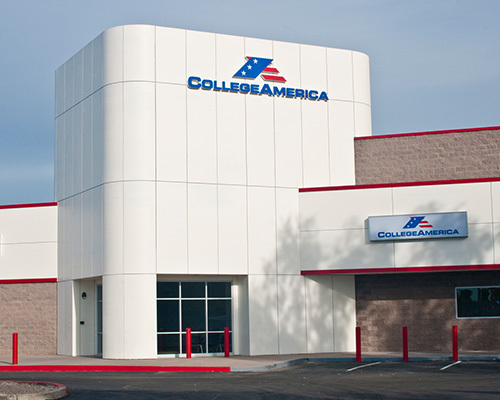 There’s only one place in the Phoenix Metro area where you can prepare for your GED® test at no cost, and that’s the Phoenix campus of CollegeAmerica. Conveniently located in the Metrocenter just off I-17, the campus has all the amenities you need for your GED® test course, including a computer lab for practice tests. Drop in today to see the campus and to learn more about the no-cost GED® test course. 9801 N. Metro Pkwy. E.
Rosemary Kondusky started at CollegeAmerica in 2012. She has 20 years of experience in several areas of education, including admissions, teaching, and training. At CollegeAmerica, Rosemary has expanded and improved the campus’s GED® test service, offered through the Good Neighbor Initiative. She is known for being caring and nurturing. In fact, many students see her as a motherly figure, and they don’t want to disappoint her. If a student says, "I can’t do it," Rosemary helps them find a way.